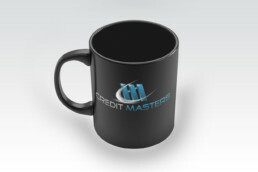 The Credit Masters logo was one of the first projects I took on when I moved to full time freelance work. At the time, the Web 2.0 look was popular that is what the client was looking for. I provided them with logo files as well a style guide that included a headline font, body copy fonts for print and web, and color secondary color options.